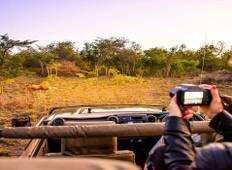 "The tour was amazing travelling from South Africa, Zimbabwe and through to Botswana..."
"My friends and I went on the Vic Falls to Joburg 12 day tour at the beginning of..."
"Fast paced trip through Zimbabwe, Botswana and Zimbabwe. Great way to see the area..."
"Phenomenal travel tour company, well organized, great itineraries, true local and..."
"Normally I travel alone. I decided to join this trip with Intrepid after a friend..."
"I just got back from a 14 day Southern African Magic (Accommodated). The trip was..."
"This tour gave me a very good (first) impression of Botswana. Highlights were seeing..."
"Khensani was great and definitely managed the overall team and tour. A couple of..."
"good very good very very good"
"Our tour manager, Ian Pletzer, was fantastic. 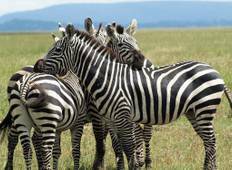 He is very knowledgeable, professional..."
"Both guides (Simba Mugondo and Shimane Lekoto) were excellent hosts. All the game..."